Is the Brain a Computer? SPACE PARTS. 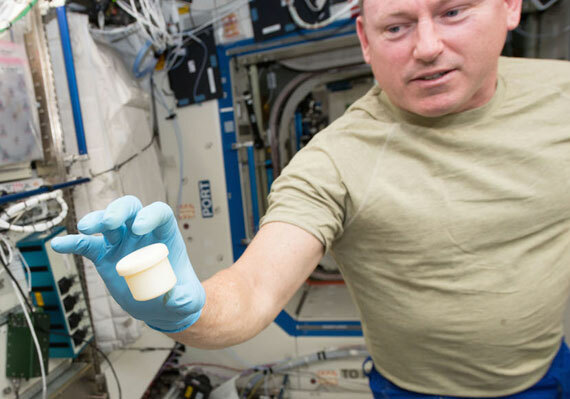 NASA plans to send 3D printers to space to allow astronauts to manufacture the parts they need. This would permit objects to be somehow “teleported” to the inhabitants of the International Space Station, ranging from Christmas presents from their families to sophisticated pieces of machinery. EDUCATIONAL MODELS. For biology classes in high schools, or even for faculties of medicine, one can now print replicas of human body parts that help in their study. 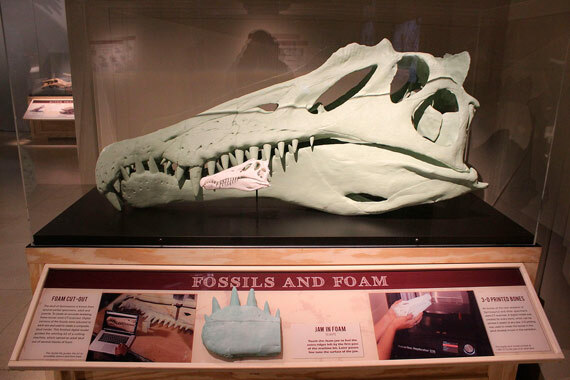 3D printing may also be applied in the study of art or of human evolution. It is already possible to take a replica of Michelangelo’s David to the classroom to analyse, draw or manipulate, and reproductions of prehistoric objects found in paleontological sites can also be produced. CONSTRUCTION. Going beyond the models of buildings that allow for the refinement of details before their construction, showing the changes in successive three-dimensional printings, there is already an experimental technology called “Contour Crafting” that combines data from a geographic information system with 3D printing to be able to apply this technology to developments carried out in earthquake-prone areas. PROSTHESES. Researchers in Belgium and The Netherlands, in collaboration with a company that carries out implants and a manufacturer of metallic additives, have joined together in a pioneering project to develop a maxillary prosthesis. 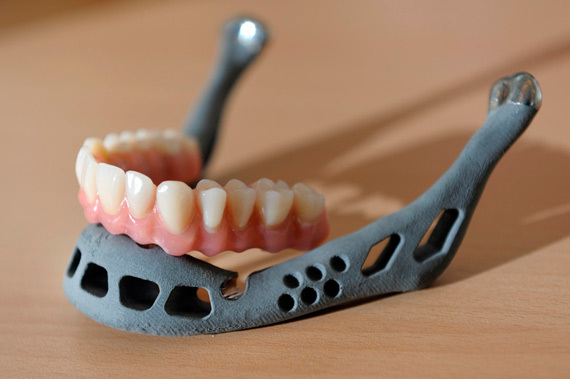 They have already managed to recreate the jaw of a patient with a 3D printer, adapted to using titanium powder (instead of plastic), which is then coated in a bio-ceramic material to prevent the rejection of the implant. CLOTHING AND FOOTWEAR. 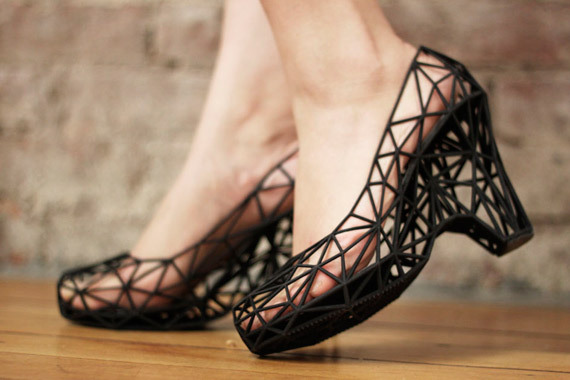 The Internet is starting to fill up with possibilities for customers to create their own attire by using 3D printing techniques. The textile industry sees a new market with these products, although their widespread acceptance still remains to be seen. Currently, two start-ups are devoted to it: Electroloom and Openknit. The first of these is already creating fashion with different primary materials, such as polymer fabric, and is starting to test a range of more common materials, both synthetic and natural. The second start-up allows the customer to create clothing from their own designs, which are then made on a robotic loom adapted to print with yarn and thread. ART. The field in which creativity always plays the key role has been quick to adopt this new technology. The 3D universe 3D has already been present in art fairs for years: the artists use 3D printed objects for computer animation work or in video clips, in which they experiment with new aesthetics and languages. 3D printing allows, for example, to quickly implement multiple iterations of designs (based on mathematical formulas) in order to create animated sculptures which are curious enough at rest and even more surprising when they start moving. Beyond the “utilitarian” applications, this technology facilitates new ways to express ideas, feelings or thoughts in the form of three-dimensional art. How do you print objects? You only need a computer with a 3D design program. It is not even necessary to have a printer that converts the design into a physical object (from a cathedral or an urban development project to a puppy or a toy train), as there are online services that print these 3D models and send them to your home. The basic mechanism of this printing system is always the same. The three-dimensional object is created layer by layer from a drawing that is turned around in the computer with the help of CAD (computer aided design) programs. To be able to print the object, the computer divides it into flat layers that are printed one by one. There is no need to be an expert in CAD programs as there are already simple and free programs like Google SketchUp or Blender. 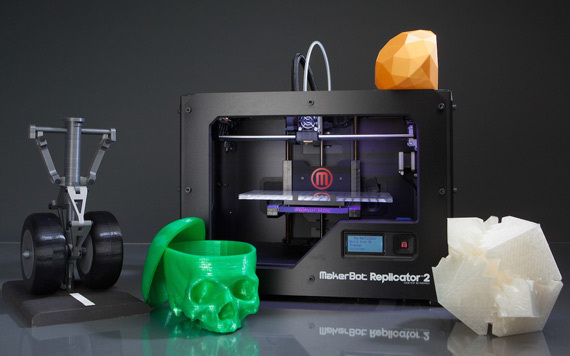 Instead of ink, 3D printers use various polymers for the printing material, which is added in layers. When all the layers have been printed, the completed part is removed. Most current models are of two types: injection and compaction. For the injection printers, what is done is to inject resins in a liquid state and subsequently treat them with ultraviolet light. Acrylic-based photopolymers with different flexibility, strength or colours are used. This technology has been the first to achieve the injection of two different materials in the same print, allowing for the creation of digital materials with properties “on demand”. 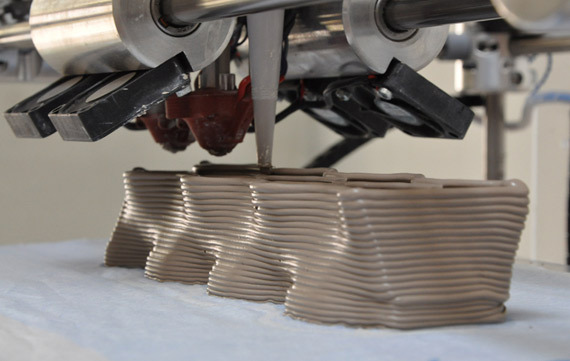 In the compaction system, layers of powdered material (plaster or cellulose) are added, which may be compacted with ink, allowing for objects with different colours to be printed. In fact, as the result is fragile, it is normal to inject cyanoacrylate or epoxy resins to the piece afterwards to give it the necessary hardness. Those made with cellulose powder are typically injected with an elastomer to give them flexibility. Compaction can also be done with a laser that transfers energy to the powder and causes it to polymerize. In this latter case it must subsequently be immersed in a liquid in order to solidify the object. The pieces are more resistant than those made with ink, although the process is more expensive. What About a City Created From Garbage With Huge 3D Printers? Do you want to stay up to date with our new publications? Thank you for collaborating with the OpenMind community! Your comment will be published after validation. Oops!, It seems that there has been an error in the communication. Please, try again later. This field cannot be empty, Please enter your comment. We use our own and third-party cookies to offer you a pleasant experience and display to users advertising related with your preferences, based on analysis of your browsing habits. By continuing to browse this website you agree to their use. You can change the cookie settings or obtain further information by accessing our cookies policy.